A superb 5-star retreat surrounded by splendid gardens and overlooked by the imposing Atlas Mountains, Eden Andalou Suites, Aquapark & Spa is ideal for a getaway to Morocco. Andalou offers the perfect balance between Marrakech’s vibrancy and luxurious isolation. There are several outdoor pools including a white large pool lined with its beach with teak wood and a Majorelle pool. 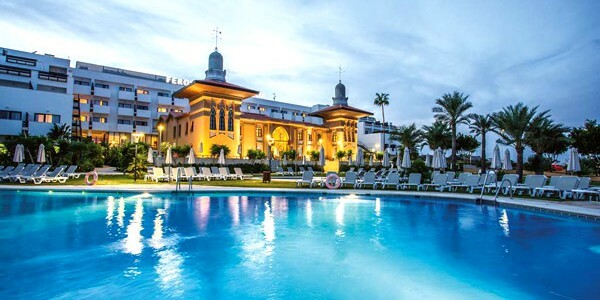 You’ll love the indoor swimming pool, spa and wellness centre complete with Turkish baths, hot tub and massages. If you’re travelling with children they’ll love the dedicated area with a mini club. Departures from London Gatwick & Stansted & Luton - Call for other departute points.